Young Palmerston North karter Jackson Rooney made it two-from-two at this year’s Lightning Racegear Blossom meeting in the Hawke’s Bay NZ over the weekend, winning both the Junior Yamaha and Junior Rotax classes. The talented teen was the dominant figure in the Junior Yamaha class over both days of the annual two-day meeting, winning six of the nine heats. 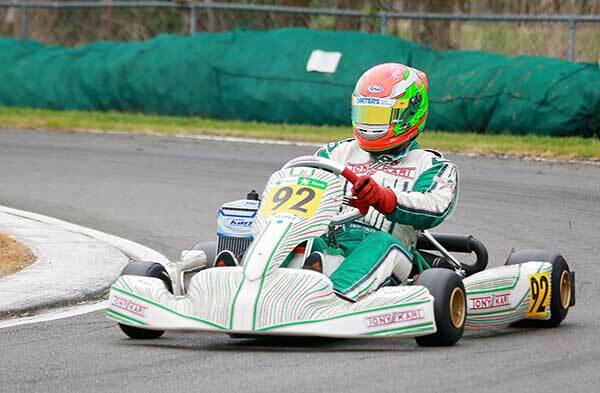 He also won four of the nine Junior Rotax class races but his win there had to wait for a countback after ending up equal on points with William Exton from Picton, and just one ahead of Wellingtonian Ryan Wood. 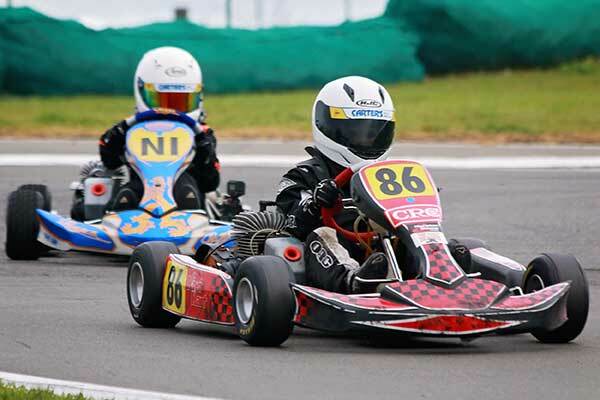 Wood, meanwhile, won the standalone Junior Grand Prix race on Sunday from Exton, Riley Jack from Palmerston North, and second-generation local drivers Zac Stichbury and Ronan Murphy. Rooney started strongly but was caught up in first corner contact which jammed his kart’s nosecone in on a front wheel. By the time he got going again he was a lap down, but had the consolation of setting the fastest race lap. Livestreaming of the 49th Blossom meeting via Facebook ensured a global audience which was treated to some excellent racing in a range of weather and track conditions over both days. 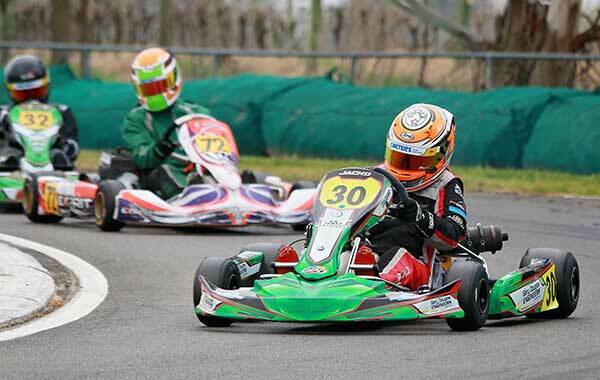 Ben Stewart from Wellington proved the driver to beat in the Vortex Mini ROK class, claiming overall victory from local ace Thomas Bewley and Levin’s Logan Manson and victory in the standalone class Grand Prix race on Sunday from Bewley and Jensen Bate from Palmerston North. Stepping up for his first major win in the Cadet ROK class was young Hugo Neale in another close contest with North Island champion Kiaihn Burt and fellow Palmerston North ace Judd Christiansen. Neale and Burt tied on 21 points with the result going to countback with Christiansen just one point back in third. Burt got his revenge in the class Grand Prix race though, winning from Neale, Blake Dowdall and Christiansen. In the Senior classes Zach Zaloum staged a winning comeback after a break from the sport, claiming the Rotax Max Heavy class crown with five wins and three second places. 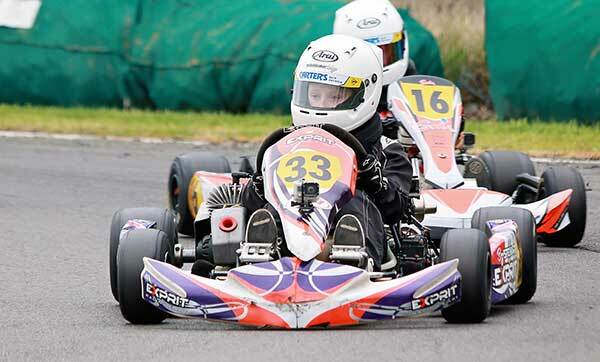 Ashley Higgins was second and first Rotax Heavy class driver home in the Senior Grand Prix. Darren Walker ended up third overall with fellow Bay of Plenty driver Paul Mabey fourth. Zaloum ended up fourth Rotax Heavy class driver home in the Senior Grand Prix but had the consolation of setting a new class lap record – 32.959 – in that race. Rotax Max Light was another class that had to go to countback to split the two top finishers, the nod this time going to Michael McCulloch from the Kapiti Coast from last year’s class winner Jacob Cranston from Palmerston North. Both ended up with 15 points with Tauranga driver Taylor Harte third and Jaden Hardy from Palmerston North fourth. Consolation for Taylor came in the Senior Grand Prix race which he won from Hardy and moonlighting Tauranga Speedway Super Saloon champion Sam Waddell. Finally, the ClubSport 120 class turned into a benefit for local brothers Johnathan and William Pearson. Johnathan took class victory with five heat wins to William’s four, but William turned the tables on his younger brother to be first ClubSport 120 driver home in the Senior Grand Prix. Victory in the ClubSport LO206 (Briggs and Stratton 4-stroke) class also went to a local driver, in this case Shaun Hibbs. Back behind the wheel himself, after running his son Benjamin for the past five years, the 43-year-old won four of his nine class races and was first ClubSport LO206 driver home in the Senior GP. 1. Hugo Neale; 2. Kiaihn Burt; 3. Judd Christiansen ; 4. Hayden Lines; 5. Blake Dowdall; 6. Jay Urwin. 1. Ashley Higgins 15:46.637; 2. Peter Richardson +2 laps; 3. Sean Ward +3 laps; 4. Zach Zaloum +11 laps. 1. Ryan Wood 15:19.722; 2. William Exton +6.063; 3. Riley Jack +11.050; 4. Zac Stitchbury +11.343; 5. Ronan Murphy +16.880; 6. Zac Christensen +18.305.